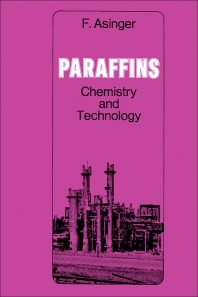 Paraffins: Chemistry and Technology deals primarily with fundamentals of those methods and processes for the manufacture and chemical treatment of the paraffinic hydrocarbons. The present book, the first edition of which was published by the Akademie-Verlag GmbH, Berlin, in 1956, and an unchanged reprint of which of the first edition was necessary in 1959, has been revised, in 1962, for translation into English. The book begins with a discussion of the production and manufacture of the paraffinic hydrocarbons. Separate chapters then cover the catalytic hydrogenation of carbon monoxide by means of the Fischer-Tropsch synthesis; the chlorination, sulfochlorination, and oxidation the paraffins along with the corresponding products; and the direct nitration of the paraffinic hydrocarbons. Subsequent chapters deal with the sulfoxidation and other substitution reactions of the paraffinic hydrocarbons and isomerization of the paraffinic hydrocarbons. The book is directed primarily to the chemist involved in research and development. It will also give the advanced student a picture of the many-sided possibilities of the use of the paraffinic hydrocarbons, which were long regarded as extraordinarily unreactive. B. The Synthesis Due to Kornblum Et Al.